Milt was, and yes, still incredible genius. Mr. Deja, have you seen Milt's commercial art when he was young? I was fascinated by his ability to create commercial art in an excellent, yet always clear manner. Andreas thanks so much for sharing this piece of art from your personal collection. It is extremely generous of you and as a student I appreciate it. 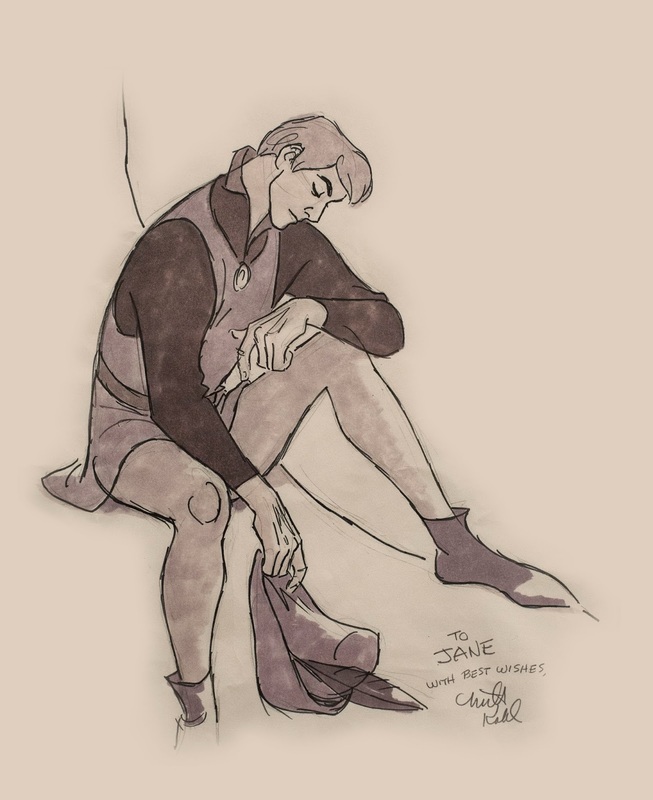 I know it's been said that Fred Moore couldn't make a bad drawing, but it seems even more appropriate that the same be said regarding Milt Kahl's draftsmanship. I love these marker sketches. Every drawing he seemed to take great pride in doing, regardless of purpose. Master Kahl indeed. And look at the hands, they are so expressive!! Thank you for sharing! a lot of emotion in that drawing. Just a note: I am very Thankful this year for the Deja View Blog!! Hope you get your standard allotment of pumpkin pie with extra whipped cream...Cheers from San Diego. Ditto on this comment. Happy Thanksgiving, Andreas. I'm thankful this year for you and your blog also. Wow! Why would anyone ever give that up? That would be an heirloom in my family for generations. Wow! It´s a great sketch, and it looks actually like in the movie. Thanks for sharing all this artwork Mr. Deja. I also have to say that I am a great Disney and animation fan, and you are one of my favorite animators. It´s a pleasure for me to follow you and Disney in this blog. Cheers from Mexico.